It was our first Valentine's day as a married couple and it was fab. The husband was pretty good he got me flowers and chocolates, typical I know, but I love it, I'm quite easy to please. We had dinner where at the same place we had our wedding, The Omni Galleria's restaurant Noe. It was quite nostalgic going there, we even tried to sneak-a-peak at the ballroom, but sadly they were all locked. So a little forgetfulness on my part, we brought the camera for shots, but we forgot the memory card. We resorted to our iPhones, so I apologize for the quality. 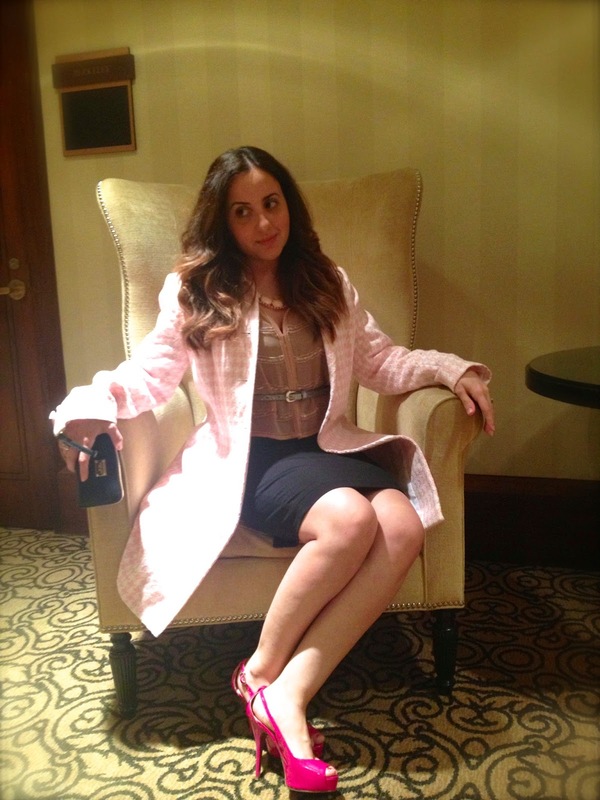 Since it was Valentine's day, I wanted to wear pink because I'm not that fond of red. I decided to accent with pink instead of a base color because my favorite color combo is pink and black. Hope you like outfit. I think I'm slightly against red because when I was younger my mom used to dress me up in red dresses all the time. Should I venture out to red? What a gorgeous box of chocolates, yummy too! And there's two layers of that. 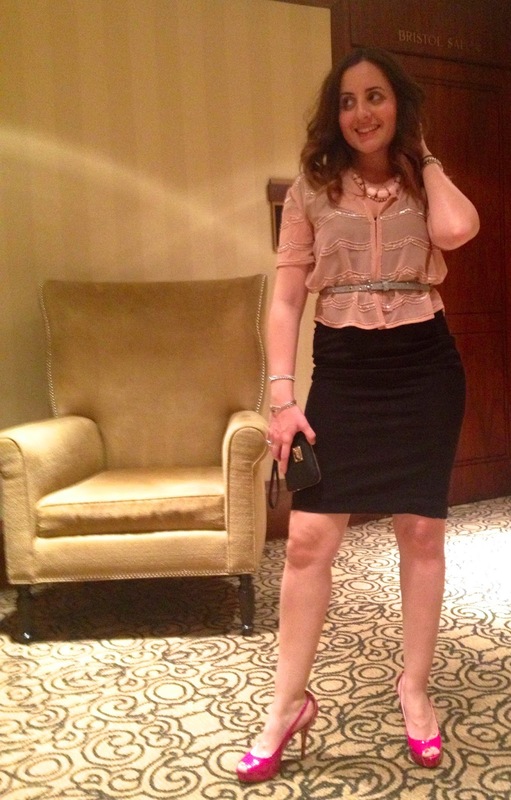 Want to see what I wore? See after the Jump. So I layered a flowy jacket top over my H&M black dress for my touch of pink and paired it with hot pink shoes. Those shoes look super high and they are, but they are actually comfortable heels. I have these same shoes in a couple of colors because I can ACTUALLY walk in them. 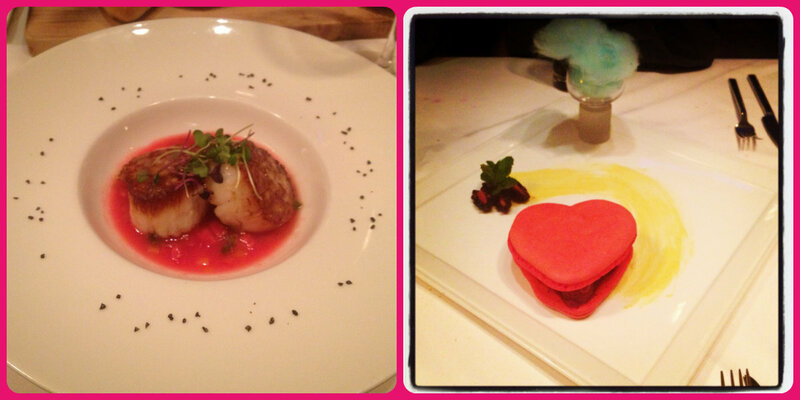 On the right: Dessert, a heart-shaped cake filled with berries and cotton candy. Quite delightful and fresh. You look very pretty! I love getting chocolate and flowers that never gets old. Glad you had a great Valentines Day! Thanks Tiffy :) And you're right chocolate never gets old, I'm almost done with the box too! 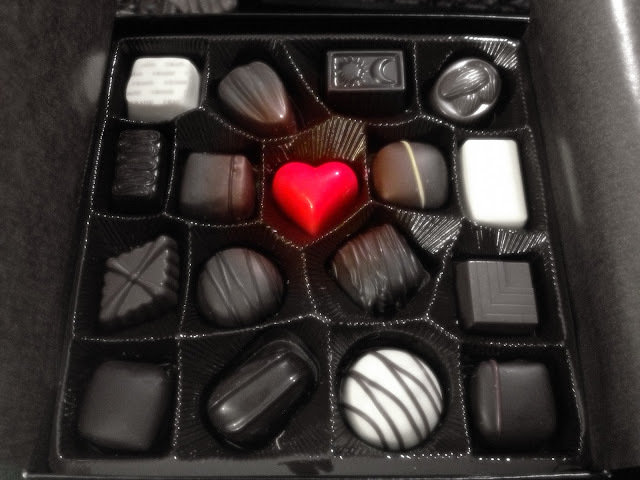 Hope you had a good Valentines too.